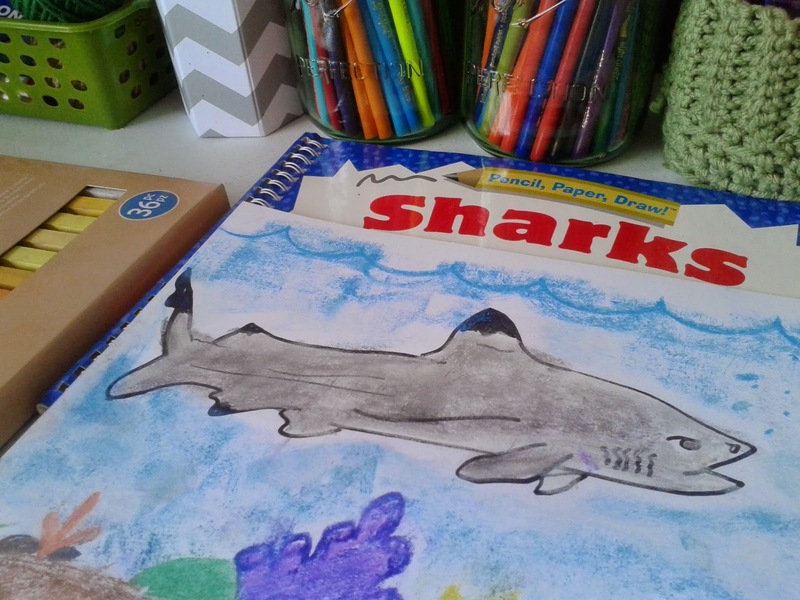 A few years ago, I bought a book on "How to draw Sharks". I bought it from Barnes and Noble. It was on clearance. I actually bought three "How to Draw" books. 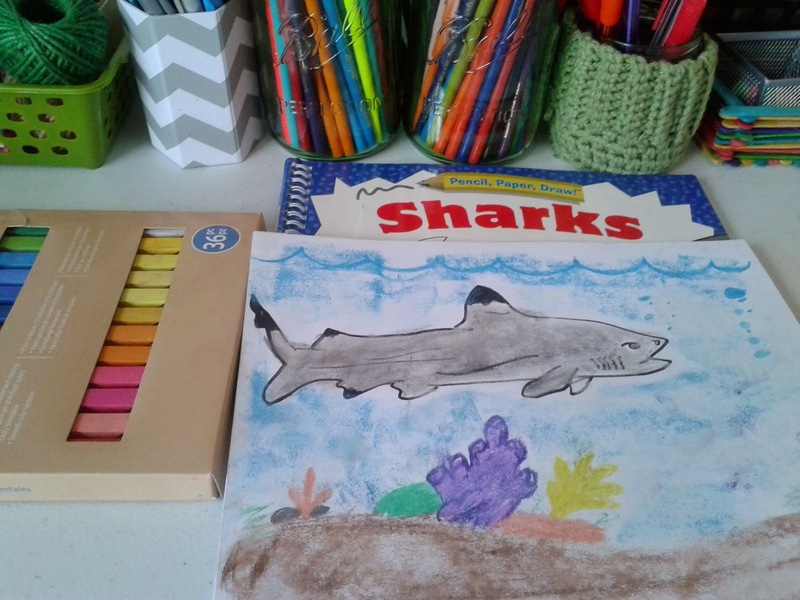 While my daughter finished up her writing assignment for today, I followed the directions on how to draw a shark. 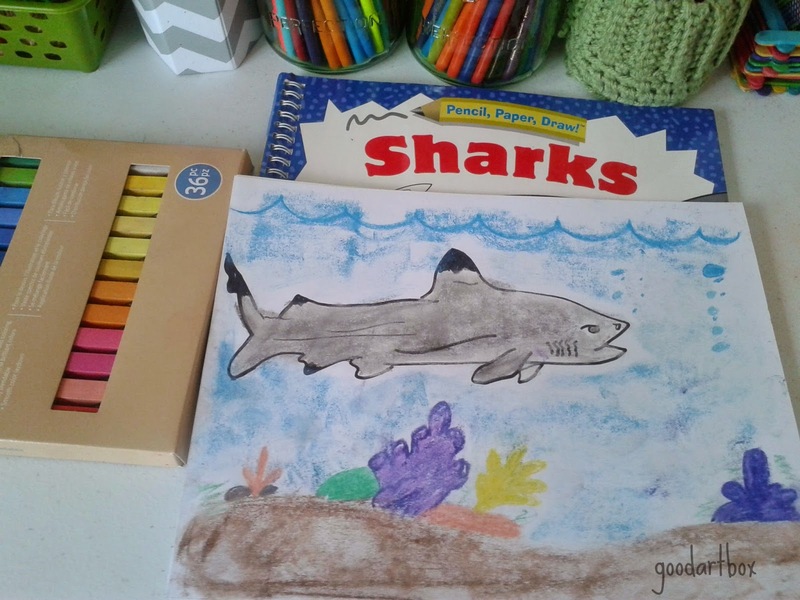 Since the pastels were still out, I used those to color in an ocean scene. Do you have any "How to Draw Something" books? I would love to know!